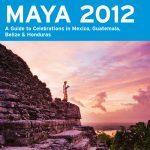 Cancun, Mexico (November 13, 2012) – The Cancun Convention & Visitors Bureau (CVB) is proud to announce the inauguration of one of the destination’s most anticipated attractions: Cancun’s Maya Museum. Mexico’s president, Felipe Calderon, presided over the inauguration ceremony on November 1. After six years of construction, the museum’s modern structure has become the largest ever built by the National Institute of Anthropology and History (INAH) since the Templo Mayor Museum was built in 1987. 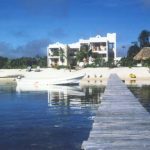 The Cancun CVB promotes the ancient roots that make up the destination’s Mayan culture and celebrates the opening of one of its most promising tourist attractions during an incredibly exciting season that marks the end of the Mayan calendar and the beginning of a new era. With an investment of approximately $15 million, 70% of which was contributed by the federal government through the INAH. 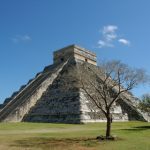 Cancun’s Maya Museum includes 350 archeological artifacts that took 30 years of research to procure, includes relics that have never been shown as well as others that were discovered in recent excavations. 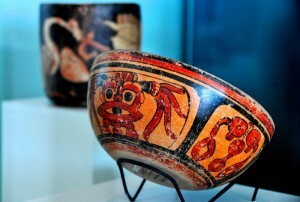 Other displays in the museum were previously exhibited at different venues like the Museo Regional de Yucatan or “Canton Palace” and the former Archeological Museum of Cancun. Cancun’s Maya Museum boasts three exhibition halls of more than 4,400 square feet, two permanent and one temporary venue for national and international exhibitions. An exhibition of 14,000-year-old skeletal remains is the first things to explore when you enter the museum. Discovered in the last 12 years in Tulum’s underwater caves, these remnants offer important clues of the arrival of mankind to the American continent. 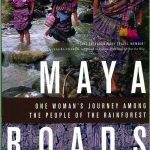 The first exhibition room of the museum is dedicated to the Mayan population that resided on what is now Quintana Roo and pays special focus to the remains of La Mujer de las Palmas or “The Woman of the Palms.” These remains were found in a cenote of the same name in 2002 and it is estimated that this person lived 10,000 years ago during the ice age. Wildlife and stone tools of this time period are also displayed here. The second exhibition room was designed to represent the diversity of the regions that make up the area. The Sala Maya or “Maya Room” showcases aspects of Mayan architecture, art and other artifacts that ancient Mayans used on a daily basis. Sculptures and architectural fragments of Chichen Itza, the Yucatan and a collection of ancient engraved bricks from the city of Comalcalco in Tabasco are also exhibited. 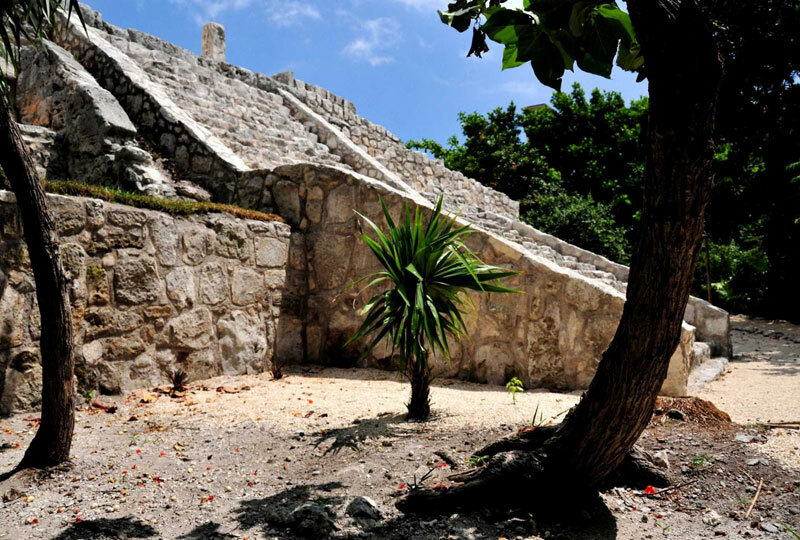 Cancun’s Maya Museum was designed by Alberto Garcia Lascuráin and was built on an area of over 55,000 square feet. At the museum’s entrance stands a fountain with three sculptures that symbolize the vegetation of the area. These sculptures were built by artist Jan Hendrix and were later donated to the INAH. The exhibition rooms are elevated over 3,000 feet above sea level to prevent the possibility of flooding due to any natural events or storms. They are also equipped with modern security systems, special lighting system and temperature and humidity control for the proper preservation of the artifacts. 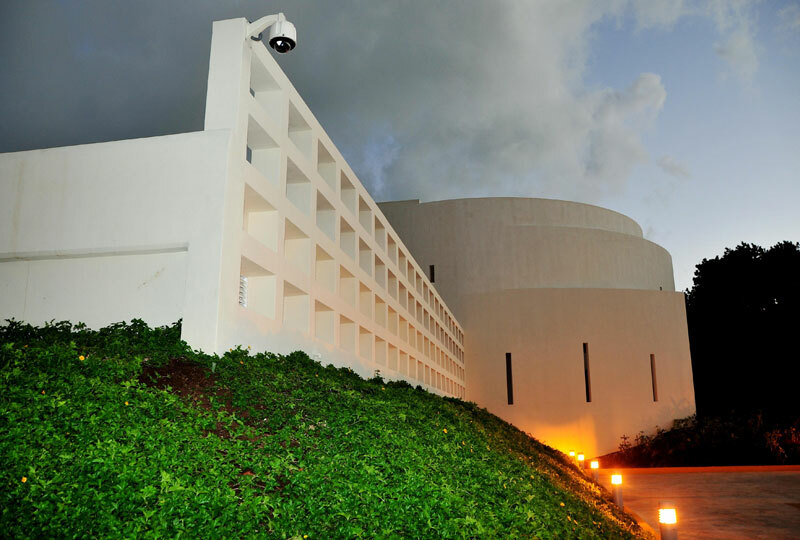 According to the director of the INAH, Alfonso de Maria y Campos, the more than 12 million annual foreign and local visitors that come to Cancun for its sun and beaches will be pleasantly surprised to discover this unique museum in the area’s famous hotel zone. The museum expects about a million annual guests. Five buildings are open to the public: The Great Pyramid, a 26 foot structure where the main building is located; The South, comprising of residential units, palace-style building and small altars; Dragons – named in the 1970’s after an area where snake heads were found and mistaken for dragon heads – in this area stands a temple adorned with fragments of ancient mural paintings of animals and marine elements. Next to the Maya Museum, the San Miguelito archeological site recently opened as well. This location was inhabited over 800 years ago until the arrival of the Spanish conquistadors. Cancun’s Maya Museum and the archeological site of San Miguelito are located on Km 16 on Kukulkan Boulevard in Cancun’s Hotel Zone. The museum is open Tuesday to Sunday from 10 a.m. to 7 p.m., except on Thursday (7 a.m. – 10 p.m.) Tickets cost around $5 for access to both the museum and San Miguelito site. Children under 13 and adults over 60 years old receive free admission. On Sunday, admission is free to local residents with official identification. 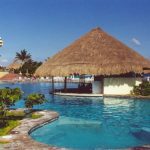 For more information, visit the Cancun Convention and Visitors Bureau website at: www.cancun.travel. Follow us on Twitter @CancunCVB, browse through our videos on YouTube at: http://www.youtube.com/user/cancuntravel and share your pictures of Cancun on our Flickr site at: http://www.flickr.com/photos/22572360@N07/.